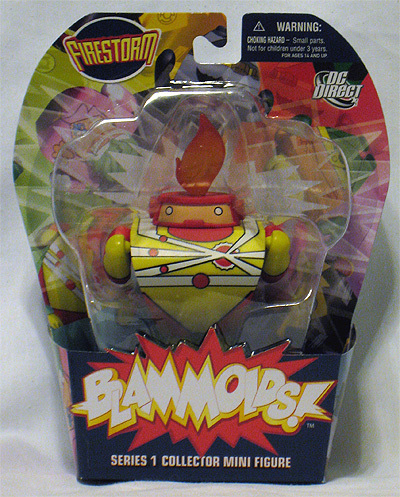 Got a new Firestorm toy a couple weeks ago – the Firestorm BLAMMOID! These unusual figures bill themselves as “Funky. Chunky. 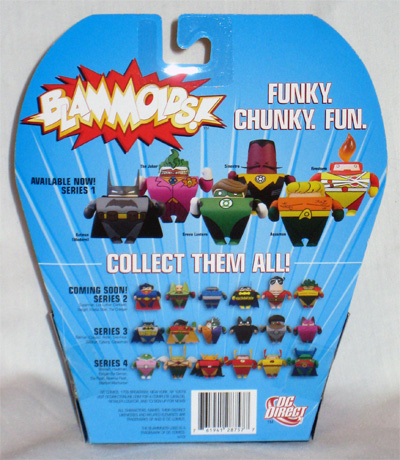 Fun.” Series One included: Batman, Joker, Green Lantern, Sinestro, Aquaman, and Firestorm. Weird little figures. They’re smaller than I expected. This figure is only 3.75″ including flaming hair, 2.5″ without. 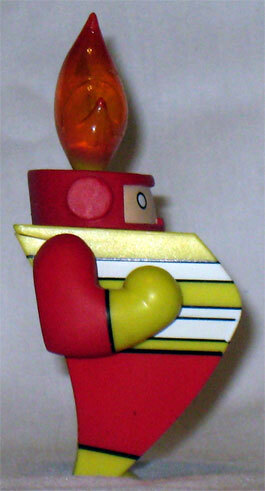 It’s an adorable figure and I appreciate that ole match-head was included in the first wave, but they are peculiar. I think the word that best describes BLAMMOIDS is “cute”. 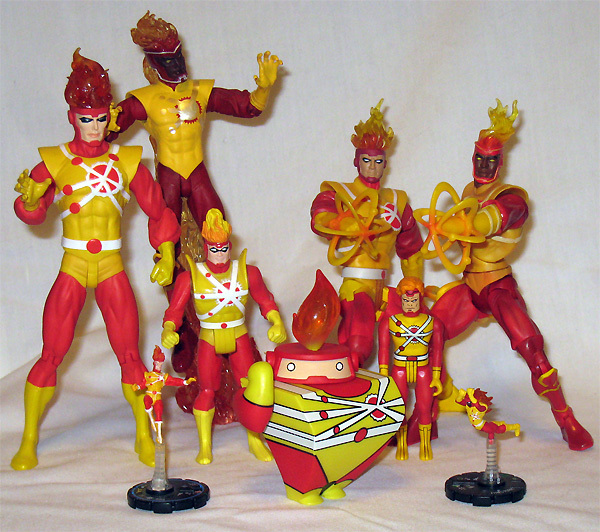 I’ve included six shots below, including one with several other Firestorm action figures for size comparison. 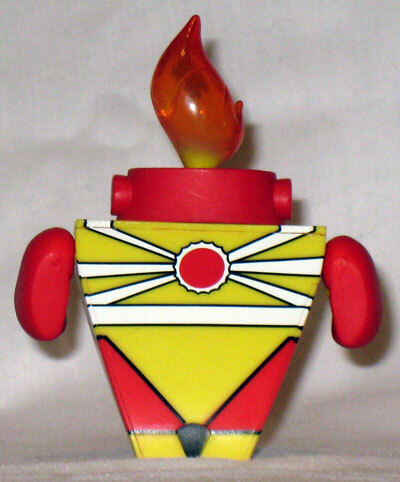 I love Firestorm and all but those are the ugliest toys I have seen since Weebles. Those BLAMMOIDS! are super-cute. Are they in stores, or is this an online thing only? They were offered by DC Direct. I got mine from my local comic book store – Cosmic Cat in Tallahassee. Comic shops had to order an entire case, they couldn’t order them individually. So many shops may not have ordered them. The Cosmic Cat still has a bunch of the first series. It looks like I should be able to pop off its head and find a smaller Jason Rusch Blammoid inside, then a Ronnie, then Stein, then Flamebird, and finally a tiny little Gehenna. Tell me that wouldn’t redeem this… thing! 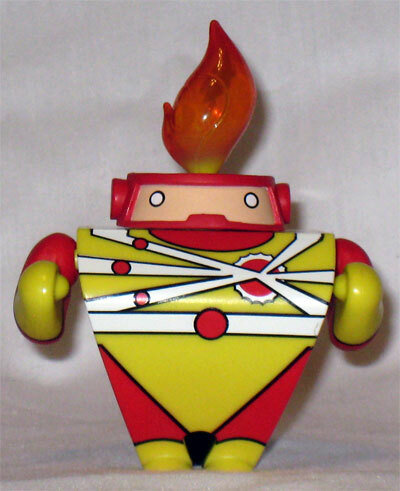 Man, Firestorm’s got some great looking figures. I especially like the bookends. Frank – LOL! That bit about the Russian nested dolls about knocked me out of my chair! That’s hilarious! If you like those Firestorm figures, just wait. I got four more coming. Two are en route right now (Brave & the Bold and Infinite Heroes). Within the next few months, they’ll be releasing Blackest Night Firestorm and the JLU Firestorm! Geez, that’s a lot of toys for a dead character. y’know, I HATED the look of this thing when news first broke, but finding out that it’s actually pretty small has made me see it in a new light. I was expecting a big hunk of ugly plastic, now it’s just a small piece of ugly plastic 😉 Just bought one off ebay (along with the metal statue/magazine thing), both winging their way from the UK. It was cheaper than getting it from the US, go figure.